This is part one of a three-part series explaining how adding BAM (burning questions, authentic audiences and millennial skills) to your lesson planning will engage students in exciting ways. Anyone who has spent even a tiny amount of time with children will know that questioning is one of the most important ways they learn. Take, for instance, the barrage of questions I was asked within five minutes on a recent road trip: Why do we have license plates? How long would it take to walk to North Carolina? Has anyone ever tried it? Luckily, Google is my friend, and the answers were pretty easy to find. This Time article was fascinating and of course it was our home state of New York that first required license plates. My kiddos were happy we were driving from Buffalo, N.Y., to Charlotte, N.C., as we learned from USAGeo.org, that it would take nine days for us to walk—though we all agreed that whoever calculated that might not be taking shorter kid-sized legs into account. Although we couldn’t find a specific person who walked from Buffalo to Charlotte, we learned that a surprising number of people walk across the country. Before you think that all of our conversations are so inspiring, you might be interested to know that we also fought over who would use the only working earbuds, why I insist on buying cherry flavor juice boxes when fruit punch is so much better, and where exactly the “line” is that separated my children from touching each other. Start class with an intriguing question. This works particularly well when you can frame the question in a way that creates a moral dilemma for students. They love to wade around in the murky waters of morality in the safety of a classroom setting. Before we read “The Most Dangerous Game,” I ask students, “Are there any circumstances under which a person should hunt another?” When they start to discuss the topic, and it becomes clear that most are going to say no, follow that with, “How many of you are pacifists?” As the conversation becomes more heated, you’ll have created intrigue around the short story, and when the characters discuss this question, you’ll be tapping into the frontloading of prior knowledge. Another way to build suspense is to pose questions before a unit begins, leading up to an “unveiling.” A few weeks before I teach the novel Nothing But the Truth by Avi, I post a question on a large notecard on the front of my door each day. I don’t say anything about it, and when students ask, I always deflect with, “Oh, so what do you think?” The book is about a young man’s careless behavior leading to a national outrage fueled by the media, a topic that clearly resonates with teens. Other issues are important as well, and these are some of the questions I post: Should teachers have tenure? What is patriotism? Should parents always support their children? Should it be necessary to maintain a particular grade point average in order to play sports? Can the media really be unbiased? 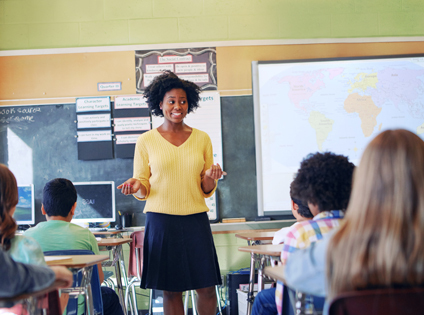 Is there such a thing as a “bad” teacher? Why do people act as the “class clown”? In a really old-school way, these questions act as an anticipatory set, and by the time students begin the novel, the questions have previewed the topics of the novel. A forward-thinking technologically connected teacher could tweet out these questions in the days or weeks prior to the unit as well. What am I doing well in teaching this unit/subject/idea, etc.? What would you do if you were the teacher to make this more interesting or understandable? What else do you want to know—anything related, even if it is tangential. Tangents are good! This allows students to provide honest formative assessment for me, something I hadn’t really done much until recently. I’d always wanted to see how they were doing, but I was missing the key feedback that would help direct what I was doing. Perhaps the most underused, but incredibly valuable, way to use “burning questions” is to challenge students who need this stimulation with some seriously complex questions that require an actual “quest” of sorts. For example, if I have a longer project, and I notice that a particular group of students will be done earlier than the rest of the class, I come up with a challenge for them. A few years ago, when we were doing our Utopia group projects as we read The Giver, there was a group that was a full day ahead. I decided those students could help me research, and I just challenged them to find out if there had ever been a real Utopia. I was able to send them to the library, let them talk with their social studies teachers, and when we were ready to start sharing out what we were working on, I casually asked them the question and let them share what they’d learned. It wasn’t considered “extra” and there was no “credit” involved—just good old-fashioned inquiry, the type of questioning that my own kids (and all kids) love. I use the term “burning question” when I talk to other educators about questioning, and I often use the BAM explanation to help teachers plan for project-based learning. However, the real power behind this approach is that it is student-centered, even as I am pulling the strings by posing the questions. The students internalize and personalize them, creating the best possible learning environment—one where those childlike questions are both valued and encouraged. Amber Rain Chandler is a National Board Certified ELA teacher and education writer in Hamburg, NY. She leads professional development in Project-Based Learning, Danielson's Domains, and Differentiation. Follow her on Twitter @MsAmberChandler and visit her website, AmberRainChandler.com.